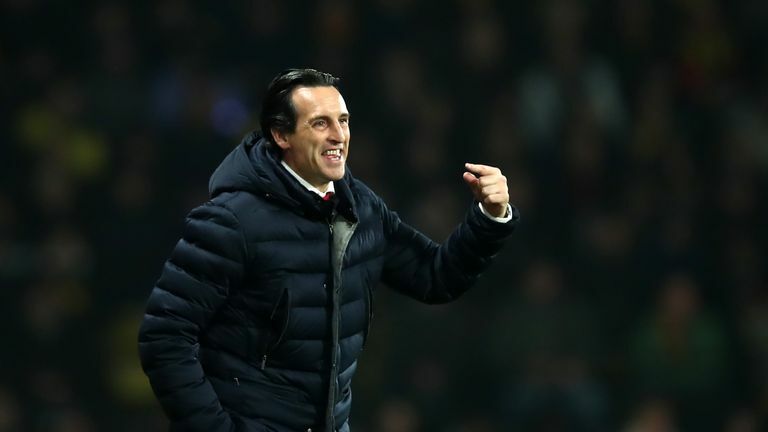 Unai Emery says a Champions League spot is in Arsenal's hands but admits that his side should have controlled the match better against 10-man Watford. 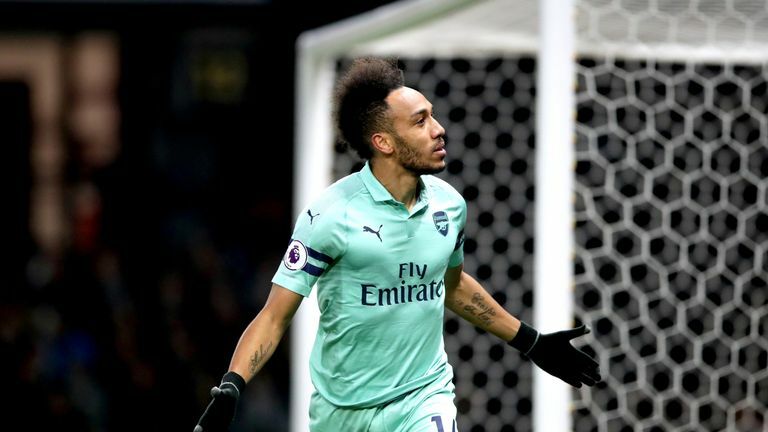 Arsenal took the lead after 10 minutes when Ben Foster's clearance rebounded off Pierre-Emerick Aubameyang into the net, and one minute later Troy Deeney was given a straight red card after he was deemed to have elbowed Lucas Torreira. "Our position in the table is very important," he said. "It is in our hands, to take the top four. Much was made of Watford's aggressive style of play in the build-up, following comments made by Deeney last year that challenged Arsenal's courage and bravery. But Emery praised Watford's approach and ability to adapt to losing Deeney early on. "They are very aggressive, they push a lot with their supporters, and we know that," he added. "They play it, pushing a lot, with one player less in their team they worked it very well and they work at pushing us." However, Emery also claims not to have seen the incident himself. "In 90 minute happens a lot of things, and I didn't see the action," he said. "But I think also the ref did his work, and for us the three points is important." 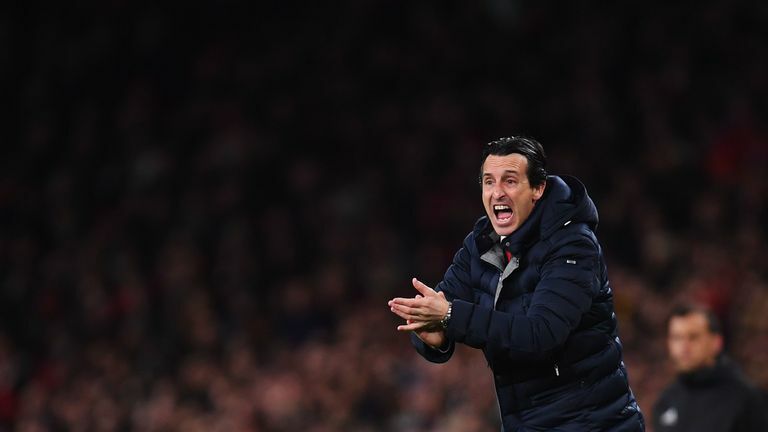 Sky Sports' Gary Neville says Emery has done a "brilliant" job in getting Arsenal to compete for the top four and the latter stages of the Europa League. He told Monday Night Football: "For them to be where they are in front of Chelsea with a game in hand, navigating the Europa League which we have always talked about on this programme for four or five years about how hard it is to play Thursdays and Sundays, out of sync with what is a normal week and how teams struggle with that, I think it's a brilliant performance."